Target 365 is our quick, efficient and secure web-based proposal, quotation, settlement and reporting system – all the services of Northridge on your PC or MAC. 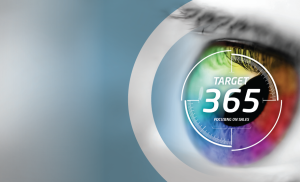 Target 365 is web-based so you do not need any new hardware or software to start using it straight away. Our Electronic Document Signing enhancement to Target365, allows your customer to read and sign their finance documents on line. No need to print out finance agreements. Documents uploaded directly for payment at the touch of a button. Invoice and any identification/additional requirements upload, if required. Register, and you’re in business. If you are already a supporting dealer with a current dealer code, simply complete the Target365 Request Form, forward it to your Territory Manager and you will be registered. Not a supporting dealer? No problem. Find your local Territory Manager here and give them a call today!